December 2016—Thanks to Glass Poetry for including my poem published originally in Muzzle in their “Recommended Reading: 2016” list! December 2016—My essay “Aloud Poetry” explores poetry heard aloud, including poems by Lucille Clifton and Gerard Manley Hopkins. The longer I’ve lived my life with poetry, the more I desire to hear it aloud, experience it aloud. November 2016—My essay “Truth & Dread: Why Poetry Still Matters & the Risk of (Too Much) Empathy” is now on the Ploughshares blog. Can the act of empathy, learned from literature and poetry, become an act of appropriation when we take it to our lived lives? This is a question I haven’t been able to answer. Each of us is not a sun around which others revolve; we cannot, like black holes, pull everything into us without risking erasure, of others, of ourselves. Perhaps more than the practice of empathy, poetry offers us the opportunity to listen, and not just in the way that it appeals to the same areas of the brain music stimulates, and not just in the way that we can hear the cadence and rhythm and sounds of poetry. Perhaps poetry offers us the opportunity to hear its many speakers, to not so much as internalize each of their voices and experiences as to confirm them, to say, you are you, you are a voice, I hear you. November 2016—In this response to David Bowie’s Aladdin Sane, I explore the body, trauma, road trips, and more. Tonight, my body reveals itself only in its sleepiness. I’m uncertain if the bodily disconnect is a good or a bad thing, something I should want, something I should even need. Do we need the mercy of being relieved from our bodies sometimes? Does you mean the you I understand myself to be, or the you that others see me as, a body? Thanks to editor Brad Efford for having me back on The RS 500. November 2016—My chapbook Beneath the Ice Fish Like Souls Look Alike is #14 on the SPD Best Sellers List for October! Thanks to Bull City Press for all their support of the chapbook. October 2016—This coming Wednesday, November 2nd, I’m reading for Red Wheelbarrow Poets & The Williams Poetry Readings at the Williams Center For The Arts in Rutherford, New Jersey. There will also be a brief response to the poetry of WCW & readings from the floor. Event info is available on Facebook. October 2016—I’m excited to announce that I’m continuing on as a blogger for Ploughshares in 2017. Thanks to Ellen Duffer for inviting me to stick around. My next post will go up on November 21st, and my author archive compiles all of my posts in one place. October 2016—This week I’m reading at Washington & Jefferson College (Wednesday) and Montclair State University (Friday). I hope to see you there, western Pennsylvania & Montclair, New Jersey friends! Thanks to George David Clark and Claudia Cortese for having me out. Wednesday, October 26, 2016, 7 PM: A Reading by Emilia Phillips at Washington & Jefferson College, Washington, PA.
Friday, October 28, 2016, 10 AM: A Reading and Q&A by Apryl Lee & Emilia Phillips at Montclair State University, Montclair, NJ. October 2016—Thanks so much to the Dodge Poetry Festival for having me as a festival poet this year. I had such an incredible time, and I feel charged up as both a writer and a teacher. I’ve included some photos below. What isn’t said in a poem is just as meaningful-just as much a craft choice-as what is said. As poets, we so often go to the page with the intention of telling our readers something; this approach, however, often positions us between the reader and the text, like a person narrating a movie in front of the projector. In this course, we will investigate the ways in which poems “write themselves” and how images, without the aid of expositional transitions, create their own narratives, after Cesare Pavese’s idea of the “image narrative.” We will discover the impact and implied meanings of white space in poems, and we will investigate the strategies of other poets in revising through redaction and compression. 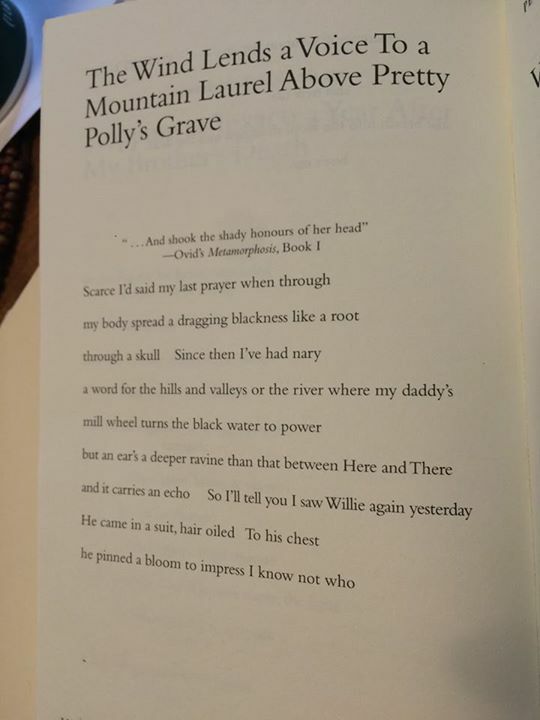 We will look at erasure texts-texts that have been redacted into new texts-by poets like Mary Ruefle and Robin Coste Lewis, and consider the legacies of poets, like Sappho whose work survives only in fragments. Throughout the course of the eight weeks, participants will be asked to draft at least six new poems, unwieldy and wild and uninhibited, that in subsequent weeks they will slowly revise, re-form, and compress; through these long-term revision strategies, participants will be able to introduce subtext and depth to their poems, while honing their craft and style. Wednesday, October 19, 2016, 7 PM: A Reading by New Jersey Dodge Poetry Festival Poets Jonterri Gadson, Emilia Phillips, and Vincent Toro, Barnes & Noble, 765 Route 17 South, Paramus, NJ. Thursday, October 20–Sunday, October 23, 2016: Dodge Poetry Festival, NJPAC, Newark, NJ. Saturday, October 22, 3:30-4:40 pm: Festival Poet Reading by Mahogany L. Browne, Jonterri Gadson, Laurie Ann Guerrero, Rickey Laurentiis, and Emilia Phillips, Trinity–St. Philips, 608 Broad St, Newark, NJ. Sunday, October 23, 9:30–10:40 am: Festival Poet Reading by Nicole Terez Dutton, Jonterri Gadson, Stephanie Lenox, Emilia Phillips and R.A. Villanueva, Newark Museum, 49 Washington St, Newark, NJ. October 2016—My essay “The Silence Waits, Wild to Be Broken: Posthumous Publications and the Lives of Poems” considers my brief time working with the poems of Larry Levis and Claudia Emerson toward posthumous publication. It also allows those with more of a role to talk about the experience of working with writers works after their deaths. Thanks to everyone who contributed, and thanks to Ellen Duffer and Ploughshares for publishing the piece. But one must wonder then who an uncollected volume is for. Is it for the friends and family of the poet? The readers who already know and love the work? If so, how one might argue that the relevance of any given collection is based strictly upon the individual reader, rather than the publishing market as a whole. October 2016—Lyric Essentials from Sundress Publications had me on to read and discuss Brigit Pegeen Kelly’s poem “Song.” Thanks to Chris Petruccelli for inviting me to celebrate one of my favorite poems. September 2016—My poem “To the Neighbor Boy with His Father’s Hunting Rifle, Begging Police to Shoot” is now up on Lunch. To get to the poem, click on the top right square or look to the comments here for a direct link. Thank you, D Period Gilson, for including me in this “Politics” issue alongside work by Jennifer L. Knox, Will Stockton, Sarah Leavens, Charles Jensen, Michael Carosone, Glen Armstrong, Hannah Smallwood, Kelly DuMar, Christine Butterworth-McDermott, Jim Elledge, ings, William Walsh, Caroline Crew, James Penha, Jonathan Travelstead, Hunter Heath, C. Russel Price, Daniel C. Remein, JoAnna Novak, KC Trommer, Andrew Rihn, Alan C. Montroso, Denise Duhamel, Derrick Miller, Stephen C. Mills, Sujata Iyengar, Kendra Leonard, Philip Dean Walker, Aaron Smith, Sarah J. Sloat, Alexa Huang, Jeoffrey A. Pucci, and Robert Wrigley. September 2016—“It Might Be Lonelier Without the Loneliness: Poetry and Loneliness” is now live on the Ploughshares blog. I’ve started collecting lines about loneliness without even realizing what I was doing, the way one might walk a maze without realizing the path from above looks like a star or a cactus or a horse. Larry Levis opens his poem “Ghazal” with the question and its qualification, “Does exile begin at birth? I lived beside a wide river / For so long I stopped hearing it.” Sometimes I worry that the act of reading poetry in my times of loneliness and grief will actually cause it to lose some of its effect, that it will become neutered of its comfort, that the Loneliness poetry offers will become like that wide river I live beside for so long that I stop hearing it. It hasn’t happened yet, but like Dickinson, I feel that I might be lonelier without it, that if there’s ever a time in which I lose my access to or desire for poetry, I will truly be alone, now and forever. September 2016—My poem “Dream of the Phone Booth,” which was originally published in Poetry and now appears in my third book manuscript Empty Clip, is one of the poems available to participants in Poetry Out Loud, the national poetry recitation contest. I’ve previously judged school-level POL competitions at Appomattox Regional Governor’s School in Petersburg, Virginia and St. Catherine’s School for Girls in Richmond, and I was able to attend the Virginia finals two years ago. I’m always in awe of the young people who participate in the program, and to have one of my own poems included here is an enormous honor for me. Thank you to Poetry Out Loud, and for Patty Smith for letting me know about the inclusion. September 2016—As a prelude to the Dodge Poetry Festival, festival poets who are regionally based will be reading at the Barnes & Noble in Paramus, New Jersey on Wednesday, October 19th at 7 pm. September 2016—I have some readings, lectures, and workshops in support of Groundspeed and OFFSET: A Poetry Broadside Digitization Project lined up for Fall 2016. The updated schedule is available on the Readings & Events page. September 2016—I’m trying to blog again with some of my writing exercises, something I love but went by the wayside in my transition to full-time faculty last year. Right now, in order to make this easier for me, I’m linking from my blog to my exercises in my Google Drive. I’ve got my two first-day exercises for Craft of Prose and Poetry Workshop up, along with a note about #FridayWritingDay. Check them out over on Ears Roaring With Many Things: On Writing & Teaching Creative Writing. August 2016—“Home to Humanity: Linda Gregerson’s Prodigal: New and Selected Poems, 1976–2014“ is now available on the Los Angeles Review of Books. It was an honor to spend this much time with Gregerson’s work. If the language of Gregerson’s poems could be played on the piano, the player would have to press down on the sustain pedal in order to render musically the length of attention paid to every word. In the previous passage, the word ‘here,’ separated from the rest of its sentence by a stanza break and indentation, hangs, both syntactically and conceptually, ‘in borrowed air.’ All of Gregerson’s poems are both meticulously formal and immediate; it is precisely because she breaks her lines with such precision that we hear her words as if they were uttered in real time. Gregerson orchestrates voice and persona with maximal care, asking readers to connect to that voice in the moment and insisting that they remember what is said. August 2016—In my new Ploughshares blog post, I ask questions like “Can I make a horse neigh in a poem…?” with a straight face. Thanks to Ellen Duffer and Amelia Hassani for the inclusion. August 2016—Thanks to Ruth Award for interviewing me about my dog Grady on Pet Poetics. August 2016—Thanks to Scherezade Siobhan for inviting me to participate in a brief interview over on The Mira Project, a global conversation on gender, violence, street harassment and women’s mental health. August 2016—I have been blogging for Ploughshares for six months now, and my seventh post “Phonesthesia: Poetic Sound and Diegetic Noise” will go live on on Monday, August 15th. In the mean time, all six of my previous posts, one for each month, are available at my Author Archive on the Ploughshares Blog. August 2016—I’m still in awe of the fact that I’m going as one of the festival poets to Dodge this year. My bio is now up on their site. July 2016—Thank you to Anastasia Stelse for interviewing me about Groundspeed for Memorious and to Rebecca Morgan Frank for arranging the conversation. July 2016—“Urgency: On Writing About the Body and the Corporeality of the Lyric” is now available on the Ploughshares blog. July 2016—I have been invited to be one of the poets at the Dodge Poetry Festival this October. This is one of my big poetry dreams, and I am so thrilled! The schedule and lineup will be available soon. July 2016—Justin Bigos and I are completing an anthology of interviews with poets. We have narrowed down to twenty interviews we have published over the past few years. We are including an introduction on the art of interviewing and the state of contemporary American poetry. But, we’re struggling to find a press. Any ideas for a press that might be interested in such a project? Justin and I would be very grateful for any thoughts. Email me at phillipse01 (at) centenarycollege (dot) edu. July 2016—I will be reading with Jenny Johnson, Rachel Mennies, and Lauren Russell at East End Book Exchange in Pittsburgh on Sunday, July 31st at 4 PM. The poster is below! July 2016—Thanks to Corey Van Landingham for including Groundspeed in your Missouri Review summer reading list alongside new books by Brittany Cavallaro, Kathryn Rhett, Phillip B. Williams, Keith Leonard, and Aracelis Girmay. July 2016—I will be teaching “Walk the Line: The Tension Between Line & Syntax” at the The Hudson Valley Writers’ Center Saturday, September 24 from 12:30–4:30 pm. Come join us as we literally and figuratively walk poetic lines and consider the ways in which we can bring energy, precision, and depth to poems through our manipulation of line breaks. June 2016—My essay “The Cost of the Academic Job: A Personal Narrative” is now available on the Ploughshares Blog. Many thanks to Ellen Duffer and Amelia Hassani for their super fine editing skills! June 2016—Because I don’t often post about readings here, I thought I would share a photo from last night’s event at Berl’s Brooklyn Poetry Shop. I read with Hossanah Asuncion, Aracelis Girmay, and R.A. Villanueva, and we are joined in this photo by the incredible company of José Olivarez, Jon Sands, and Joy Priest. Oh, P.S. I’m wearing my goofy sunglasses because my regular glasses were broken! June 2016—My new poem “The CIA Livetweets the Assassination of Usama Bin Ladin Five Years Later” appears alongside poems by Joe Gutierrez, Anthony Madrid, Cate Lycurgus, Cynthia Cruz, & Dan Chelotti in the new issue of Horsethief! Thanks to editors Justin Boening & Devon Walker-Figuero for inviting me to be a part of the issue. May 2016—My little essay “L’Appel du Vide: On Visual Caesuras and Erasure” takes a look at poems by Claudia Emerson (thanks Louisiana State University Press), Nate Marshall, Lo Kwa Mei-en, Vievee Francis, Brenda Hillman, Jean Valentine, and Shane McRae in order to consider motivations for using the visual caesura. From there, I consider the increasing popularity of erasure texts. Thank you Ploughshares blog editors Ellen Duffer and Amelia Hassani for all your help on this piece. April 2016—I have finished scanning Sap, my Eusapian-themed erasure of Calvino’s Invisible Cities. All 50 scans, its transcribed text, process notes and background, and resources for erasure texts are available on this site. I didn’t start writing lyric essays until I found out I had cancer. The melanoma buried in my right cheek was at first missed, and then misdiagnosed in its severity. Clark’s stage IV, they told me. Likely in my lymph nodes, but they wouldn’t know until my third surgery, the excision and biopsy. I was coming out of a dry period in my writing. I had hardly written in the previous year since my brother’s death from complications arising from a rare genetic disorder. When I went back to the page, I couldn’t go back to it as I’d been there before, but I felt I must go back. I had something to say, and what if I didn’t have long to say it? What If became my muse. The poems became fragmented, full of white space. I broke lines unexpectedly, at least for me. Out of tune, out of sync/syntax. I revised through redaction, cuts, excisions. Everything seemed relevant and connected, even as everything seemed disjointed. Separate. April 2016—Coming up Saturday and Monday I’m reading in Chicago and the Washington, DC area. Check out the Readings & Events page for more details. April 2016—I’m now working on erasures of Italo Calvino’s Invisible Cities. Here are some of the pages, blacked out with chalkboard paint. April 2016—Many thanks to Alan Shapiro and Tom Sleigh for including my poem “Static, Frequency” in the new issue of Ploughshares. Thanks also to the editors for asking me to write the guest editor profiles for Shapiro and Sleigh. April 2016—Many thanks to Minnesota State University Mankato and Good Thunder Reading Series for including me in their National Poetry Month video project, and thank you to Rae Frame for reading my persona poem “Bertillon: Taille” in the video. April 2016—Many thanks to editor Keetje Kuipers and managing editor Aaron Alford for including my essay “The Pedagogy of Listening: Citizen as Required Reading, Rankine Required Reader” in Southern Humanities Review’s Teaching Citizen feature. March 2016—Thanks to everyone who’s sent pictures of their copies of Groundspeed! I’ve included photos by Tomás Morín, Corey van Landingham, Caitlin Doyle, and Jon Muñoz below. If you have a copy of Groundspeed, post it on Facebook or Twitter with the hashtag #Groundspeed! March 2016—After applying for a couple of years, I finally got into a week-long, summer class from the Rare Book School; this June, I’ll be taking “Digitizing the Cultural Record” with instructors Bethany Nowviskie and Andrew Stauffer. For the class, I will be working on a digitization project, and I’ve decided that I would like to digitize out-of-print, letterpress broadsides for a free digital archive of some sort. Although I’m still sorting out the details, I will soon contact small, boutique, and basement presses to ask if they would like to participate in the project by donating or lending broadsides. March 2016—Many thanks to Meredith Sue Willis for including “Scar” and other poems on her Literature and Medicine Syllabus 2016. The autobiography of the imagination writes itself, one could say. It writes every time we write, every time we dream or daydream. It is its own captain’s log, the transaction and receipt. It reveals the self to make the self into a stranger, twisting the I to wring out a you. This is my second post for Ploughshares, and I have the great luck of getting to do nine more, one for every month remaining this year. The journal runs an excellent blog, with a slew of awesome guest bloggers. Many thanks to Ellen Duffer and Amelia Hassani for all their work. March 2016—As I round the corner on a near-final (I think) draft of my third poetry collection Hollow Point, I intend to turn to my lyric essay collection in early summer. By late summer, I hope to turn back to poems, with a particular focus on exploring an erasure project, now separate from the third book project, with Emilia (de Othello) and other women victimized by Shakespeare’s male “heroes” at the center, and I have registered for Gabrielle Calvocoressi’s workshop “In the Poem Lab: Experimentation, Contemplation, Collaboration & New Poems” at the Provincetown Fine Arts Works Center scheduled from July 17 (happy birthday to me!) to July 22, 2016. My hope is that the space will allow me to write outside of any kind of particular project or aim, and I hope that the generative immersion will renew me after finalizing the third book and working on the lyric essay and erasure projects. In addition to these creative projects, I’ve also applied for the “Digitizing the Cultural Record” class at the Rare Book School with the hope of pursuing a digitization project of out-of-print letterpress broadsides for a digital archive. Fingers crossed for me that I’ll be accepted into the class! March 2016—Thanks to English & Foreign Languages Department Chair Sharon Decker for organizing an incredible book release event; thanks also to my colleague Pat Maley (pictured) for a wonderful introduction, and to Tim Domick, Taylor Memorial Library director, for hosting the event. Thanks to the bookstore as well—we sold out of copies after the reading! Plus, there was cake and wine. What night could be better? March 2016—My poems about that old website Faces of Death & my gun dread; high school bulimia; & the previous tenant at our rental in Gettysburg are hanging out over on The Collapsar! Thanks to Lena Moses-Schmitt for saying yes to these poems; they appear in my in-progress third manuscript. March 2016—It’s March 15th, so that means Groundspeed is officially out and in the world today! Many thanks to my fabulous editor Mary Biddinger, designer Amy Freels, and the rest of the University of Akron Press staff for their amazing work to make this book possible. March 2016—Tom O’Halloran, host of the local radio program Inside Centenary, interviewed me last week about my poetry, my second poetry collection Groundspeed, the upcoming book release reading on March 16th, and Centenary’s creative writing program. The audio is now available to stream and download here. 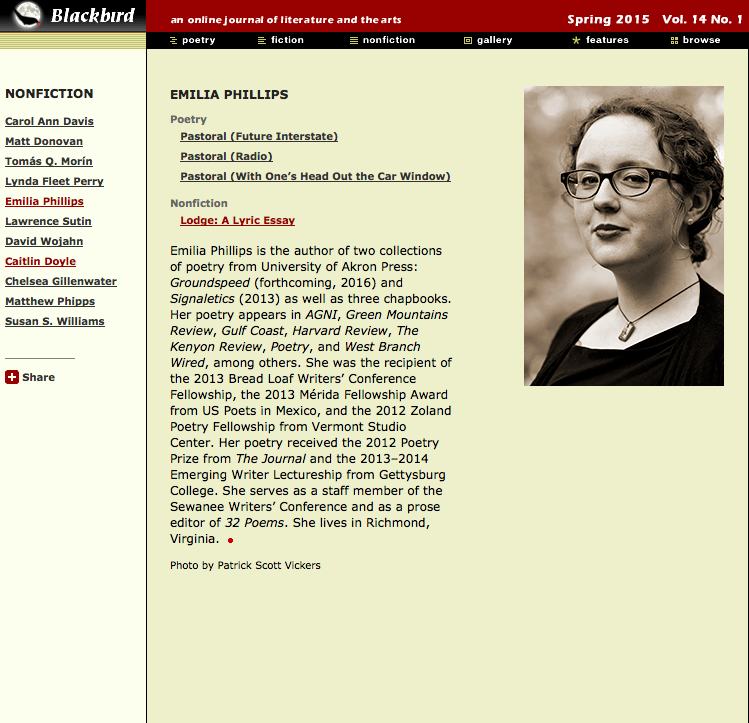 February 2016—All of the interviews with poets I conducted from February 2013–February 2016 are now available under the “Interviews with Emilia Phillips” category on the 32 Poems blog. I’ve tried being a thinkier poet, a poet with more air and clouds and logic, but I love chaos and not-knowing in poetry. I’m rooted in the body, so I write for a human voice. Many thanks to Carmen and all the poets who have met me on the page in conversation—you have made my world richer. I’m so grateful to David Clark for approaching me back in late 2012 and asking me to run an online prose feature; thanks also to Cate Lycurgus for taking over the series—I know you’ll be amazing; and love to all of you for following the series from February 2013 to February 2016. February 2016–AWP has posted the 2016 mentor and mentee profiles. I am working with the awesome poet Ann DeVilbiss. To find out more about her and her work, check out her profile. 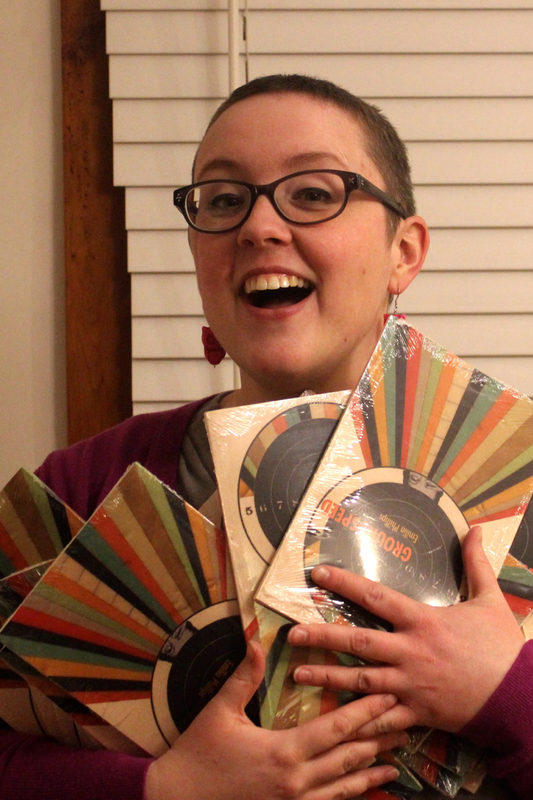 February 2016–My second collection Groundspeed, officially due out on March 15th, arrived today at my house! Help me welcome it into the world! Preorder the collection through the University of Akron Press. Feburary 2016—My poems “Overpass” and “Nocturne, Lamar’s Chrystal Lounge,” which appear in my third manuscript Hollow Point, appear in Memorious 25. Many thanks to editor Rebecca Morgan Frank for including me alongside some great work by Dilruba Ahmed, Jill McDonough, Maggie Smith-Beehler, and others! February 2016—My poems “Apostrophe in Oregon Hill” and “Denouement,” which appear in my third manuscript Hollow Point, appear in Cherry Tree 2. Many thanks to editors James Allen Hall, Jehanne Dubrow, and Lindsay Lusby for making such a beautiful journal and for the dedication of the issue to Claudia Emerson. We were able to place Claudia’s poem “Child of the Desolate” from an unpublished manuscript titled Claude Before Time and Space in the issue as well, and it appears as the first piece in the issue. The issue also features work by Rick Barot, Keetje Kuipers, Rebecca Mogan Frank, sam sax, Matthew Olzmann, Vievee Francis, Lesley Wheeler, and others. February 2016—My essay “Excisions,” selected by Leslie Jamison as the winner of the 2015 StoryQuarterly Nonfiction Prize, appears in StoryQuarterly 49. Many thanks to Leslie Jamison, editor Paul Lisicky, and the rest of the staff. The issue also features Jenny Boully, Garth Greenwell, Kelle Groom, Mat Johnson, Rachel Yoder, and others! February 2016—This week I started working with a wonderful poet named Ann DeVilbiss as her mentor in AWP’s Writer to Writer Mentorship program, and I have to say, what an incredible resource. I’m looking forward to the conversation and exchange with Ann. Individuals eager to connect the dots between a poet’s life and their work should remember that these suggestions and liberties could impact the poet negatively. The very thought of writing about certain topics or discussing their poems’ subject matter could trigger anxieties, or worse. A good rule of thumb, then, would be to keep poems as poems and people as people, unless the poet explicitly invites the conversation. The muse may be at your side, but the ghost is inside of you. February 2016—Here I go again conflating the body with poems, now in an interview over on Lightbox Poetry. Many thanks to Richie Hofmann and Kara van de Graaf for this wonderful interview. In my poems, that’s exactly what I want to create: a land on which to walk and a body to do the walking. January 2016—My pressmate Philip Metres profiles University of Akron Press, its closure & reopening last year, as well as its authors and staff, on Los Angeles Review of Books. What happened between these two events is a story as much about literary and political activism against the forces of neoliberal corporatization as it is about a university press and its cherished poetry series. The desire for poetry is not merely about writing it. Writing it is one symptom of desire, but poetry’s purposes are grander than that. Maybe poetry is not about a desire for something, but is desire itself, untethered from product or object. January 2016—Many thanks to Vinyl Poetry for including my two poems “The Episode of Cops In Which MY Father Appears” and “Roadside America” in a feature with poetry editor Phillip B. Williams’s interview with me. These two poems appear in Groundspeed, forthcoming from the University of Akron Press in March. I want poetry to come from truth-telling lies as much as my autobiographical experience, but I think that a reader can’t necessarily approach the reading of a poem or a poetry collection with the idea that they are going to sift out the “facts” from the fictions. If it’s in a poem, it is both a fact and a fiction: solid and liquid at once. January 2016—My poem “The days that were have now” is now available online at Boston Review, in addition to its latest print issue. The poem came about from thinking about digital surveillance, spam subject lines, and the teenage girl who crashed her car into the tree outside my childhood bedroom window. January 2016—“What Noise Is This?” and “Nay, Lay Thee Down and Roar,” two erasures intended as the choral voice of the two victimized women (including my namesake Emilia) from Othello, appear in the new issue of Hound. Many thanks to editor Danielle Susi for including these poems, and congratulations on the issue! January 2016—Amy Freels, designer at the University of Akron Press, has finalized the cover of my forthcoming, second collection Groundspeed, due out in March 2016. The cover features original artwork by Hollie Chastain and blurbs by Dana Levin, Kathleen Graber, and Nicky Beer. December 2015—Many thanks to Timothy Donnelly for including my poem “The days that were have now” in the January/February 2016 issue of Boston Review! FP: In Groundspeed, I noticed the variety of forms you employ. How do you unearth the right form for a poem? Can you talk about your personal philosophy on the role of form in your work? EP: A hard question, mostly because form, for me, is not something I often set out to craft. I never landscape my poems. I never think, I’ll plant this here and this here and this here. The poems are largely fragmented because I felt fragmented after my surgery. With this book at least, the poems became kind of visualizations of my internal life. November 2015—Many thanks to Brittany Nawara and faculty adviser Rebecca Hazelton for inviting me to talk mythology, process, and generosity in this interview on 30 North. Recent poetry Guggenheim recipient Ellen Bryant Voigt writes, “W.H. Auden said it is ‘a sheer waste of time to look for a definition of the difference between poetry and prose’….Yet differences between lyric and narrative seem exactly relevant-if only one could be confident what they are.” In this poetry workshop, participants will address the intersections of prose in poetry, the narrative in the lyric; we will examine the balance between the sentence and the line and explore strategies for revealing subtext through sound. In addition to discussing participants’ poems, the workshop will feature generative writing exercises meant to shake up writing habits and language orientations. All levels of poets are welcome, including prose writers who are interested in cultivating music in their sentences and image in their narratives. I will also give a lecture on writing about the body. There are lots of great courses available at the conference, which takes place June 12–17, 2016 at Hollins University in Roanoke, Virginia. To see the full course list, please visit the TMWW Workshop Descriptions page. November 2015—“Saul Bass Redesigns the First Man,” which appeared in the December 2013 issue of Poetry, appeared on the Poetry Foundation’s Poem a Day Podcast on November 16, 2015. November 2015—Many thanks to the newspaper Home News Tribune out of East Brunswick, New Jersey for reporting on the award bestowed by StoryQuarterly on my essay “Excisions.” . November 2015—In my final year of grad school, I got to type up the manuscript of The Darkening Trapeze: Last Poems by Larry Levis from photocopies and check some of the poems against drafts in the Levis archives. It was an amazing experience—thank you, David St. John!—and it’s even more amazing to see this as a book, soon out from Graywolf Press! To pre-order the collection, due out in January 2016, visit its page on Graywolf’s site. November 2015—Harriet has included reading recommendations by Poetry magazine’s November 2015 contributors. I recommend books I’m teaching in my Spring 2016 poetry classes. Poetry, like the car ride with one’s head out the window, can offer the bewilderment of motion, vagary, and noise. The poetry of bewilderment appeals to the senses to allow the self to be unconscious of the senses—that is, the known. I’m most aware of my senses (“the deceits of the world, the flesh”) when those senses are overloaded—as they are with pain, blinding light, or deafening noise—or when they are not appealed to—as happens in a dark room when I can’t see or when I have a stuffy nose and can’t smell. For poetry to bewilder, and therefore become a spiritual engagement, it must balance meaning (utterance), silence (the ineffable), and sound (the senses). November 2015—The November 2015 issue of Poetry, including my poem “Dream of the Phone Booth,” is now available online. 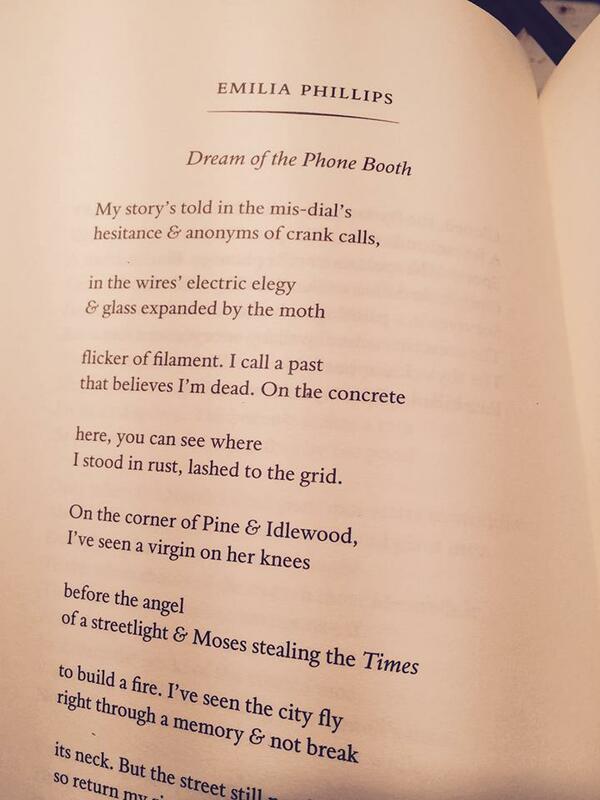 October 2015—My poem “Dream of the Phone Booth” appears in the new issue of Poetry. Many thanks to Don Share and the rest of the magazine’s editorial staff for their inclusion of my poem. The poem will be available online soon. I see the poem as a site of metamorphosis, yes, but violently so (in the Ovidian sense): transformation as cataclysm, even apocalypse—as evidence of perpetual and pervasive volatility. It is transformation as the end of a moment, of a state of being, of a world, underlining the instability (and combustibility) of mind and memory and body. I think my poems are invested in the old sublimity, in that sense—that simultaneous experience of pleasure and terror in the face of magnificent force, which alters the mechanisms of the brain, the way we process the world forever after our encounter with it. Visit the 32 Poems blog to read the rest of “The Old Sublimity: An Interview with Sara Eliza Johnson,” and enjoy! Three poems—“Swimming Alone,” “The Wheel,” and “Pre-Algebra, 1970”—were published in the new issue of Waxwing. The editors asked me to write a brief introduction to these three poems and the manuscript. October 2015—Thanks to Centenary College for their kind write up about my essay “Excisions” winning StoryQuarterly‘s 2015 Nonfiction Prize. Hackettstown, N.J. – Centenary College Assistant Professor of Creative Writing, Emilia Phillips, was awarded the 2015 second annual Nonfiction Prize from StoryQuarterly, the Literary Magazine at Rutgers–Camden for her essay “Excisions,” which focuses on excisive and reconstructive surgeries of her face in the wake of cancer. To read more, visit Centenary’s News & Announcements. 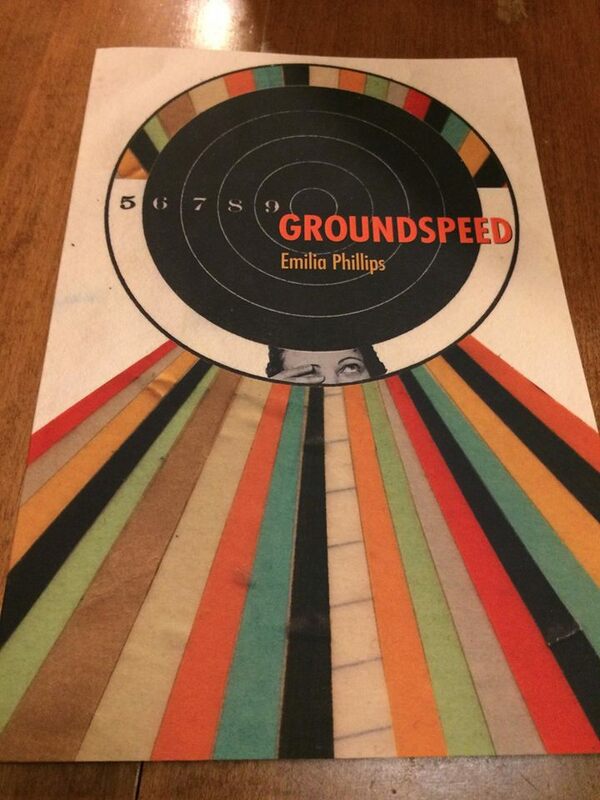 Groundspeed, a collection forthcoming in 2016 from Emilia Phillips, fulfills the promise of her first book. The poems in Groundspeed have all the energy of a rollercoaster. When you finish this book, you immediately want to return to the first page for another ride. 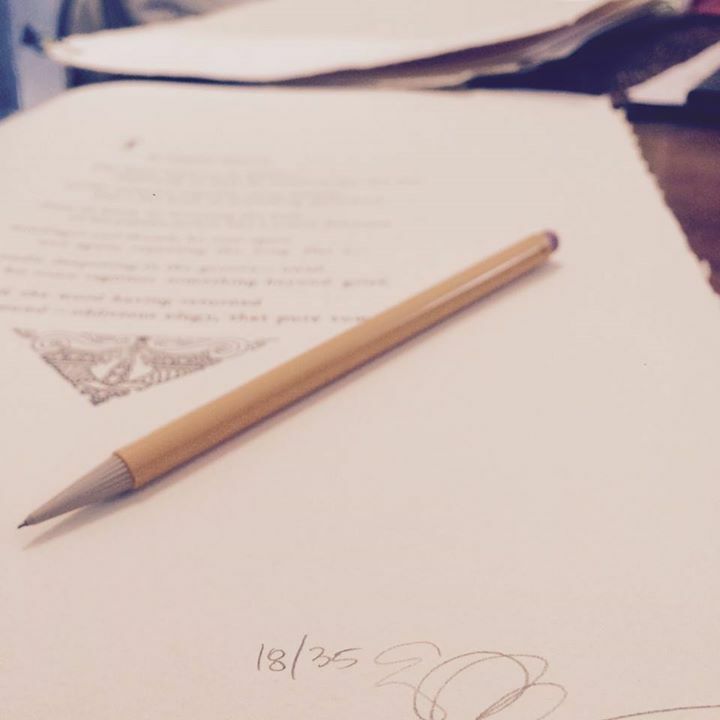 September 2015—Poetry editor Don Share posted a photo of the magazine’s November 2015 table of contents. The issue contains my poem “Dream of the Phone Booth.” Stay tuned for the print and online issues! September 2015—I have so much gratitude for judge Leslie Jamison and editor Paul Lisicky for selecting of my lyric essay “Excisions” for StoryQuarterly‘s 2015 Nonfiction Prize. This essay on the excisions of my cheek and reconstructive surgery is the most personal of the essays I’ve written. I’m so glad for it to have found a home, especially one in a literary journal out of my new home of New Jersey. “Excisions” will be publishined in the journal’s January 2016 issue. 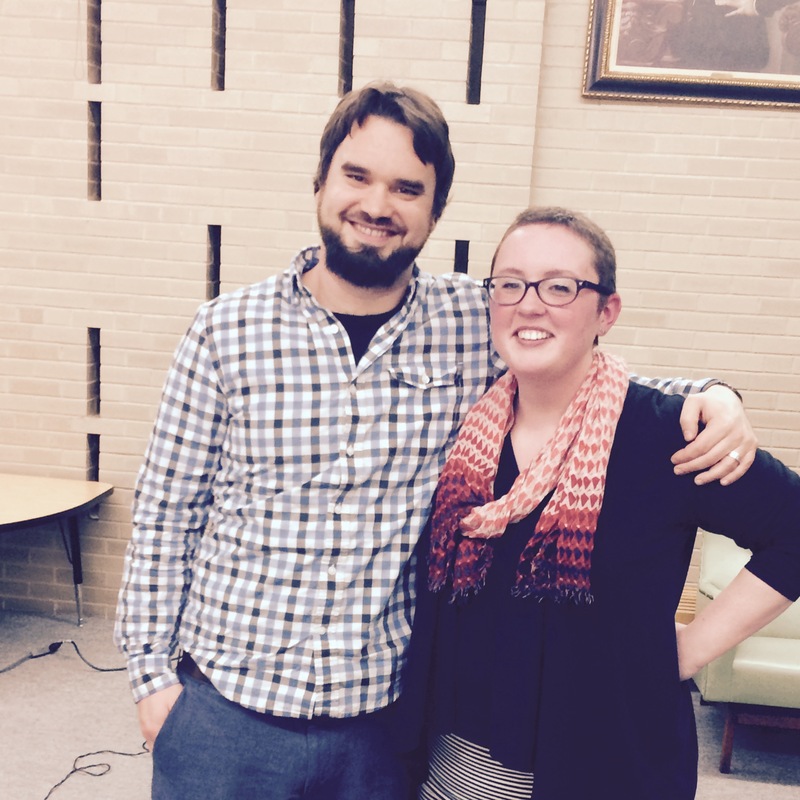 Congratulations also to runners up Rachel Yoder and Drew Krepp; I look forward to reading your pieces soon! September 2015—Many thanks to Alex Dimitrov and the Academy of American Poets for publishing my poem “Scar” through Poem-a-Day. Additionally, they asked me to record the poem, and audio of my reading the poem is available through the Academy and Soundcloud. 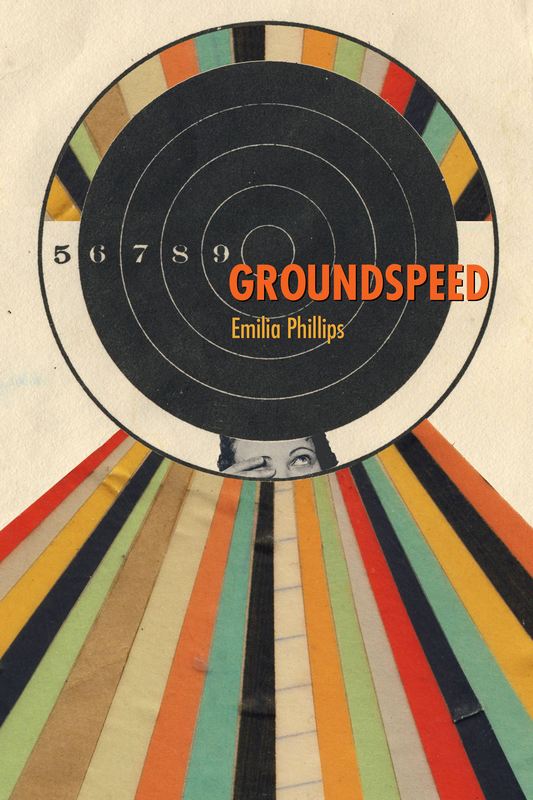 August 2015—You can now pre-order Groundspeed, due out in March 2015, from The University of Akron Press. 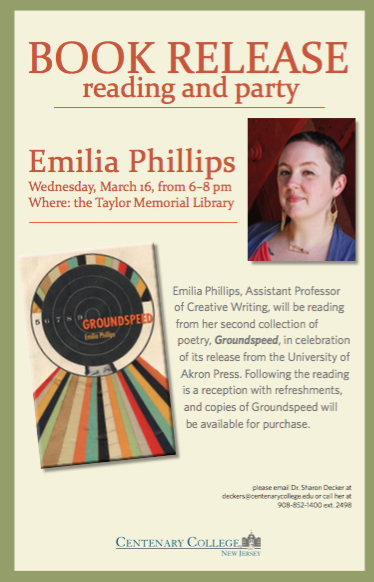 August 2015—You can now pre-order Groundspeed, due out from the University of Akron Press in March 2016, on Amazon. I am one obstinate mofo. I have an idea of the smell and sleekness of a poem, at least the poem I am trying to create at the moment because my idea of a ‘good’ poem is constantly in flux. I try to never successfully recreate this idea of the platonically ideal perfect poem. What a fool’s task. But once in awhile I am saved by someone else’s poem. There is nothing better than reading a poem that I think shouldn’t work but does, often inexplicably. These mysteriously healthy poems only highlight my dysfunctional writing, my broken writing. And that is the conundrum, as fixated and self-involved I can be with my own poems and problems; it is the work of other writers that pushes me on, helps me persist. August 2015—I’m heart-poundingly thrilled to be one of eighteen finalists for the Poetry Foundation’s 2015 Ruth Lilly and Dorothy Sargent Rosenberg Fellowships. The finalists are listed below, and the recipients will be announced September 1st. Congratulations to the other finalists, and thanks to the Poetry Foundation and Poetry for their generosity and support! We are still writing and revising the fate of The University of Akron Press. I say “we,” since the voices that matter to me are the voices of the poets, editors, and designers who make the literary landscape a place worth inhabiting. These are the voices that matter to me because they have earned my trust through their words and their work, using the power of the page to touch my life in meaningful ways, far beyond the physical location of Akron. These are, unfortunately, not the loudest or most powerful voices in our current cultural climate, as evidenced by the sweeping budget and job cuts that unceremoniously shut down The University of Akron Press earlier this week. More recent clarifications state that “the press” itself will not be shut down entirely, but will be “transferred to the Division of Libraries.” Whatever this actually means in practical terms, what is a press without its editors, its staff, its expertise, its resources, and its vision? And what is a university, if not a place that supports intellectual and creative growth and community? Let’s keep sending praise. Let’s keep ringing. The operations of University Press are being transferred to the Division of Libraries, where the director will work with the interim dean of Libraries and the Provost to assess UA Press operations and to recommend priorities going forward. It is anticipated that books under contract will be completed. Proposals under review or consideration for publication will be evaluated. July 2015—Earlier this week, the University of Akron laid off the entire staff of my publisher the University of Akron Press and, at least for a day, shut down the press entirely. After some backpeddaling, the press will remain open under the auspices of the university’s library but without any known staff. The future of my second poetry collection Groundspeed is uncertain, and without a staff I am concerned about how the University intends to handle and support the book. July 2015—VCU’s MFA in Creative Writing Program released their 2015 alumni highlights on their blog. Included in the list are accomplishments by Tarfia Faizullah, Lynda Fleet-Perry, Gregory Kimbrell, Lea Marshall, Emilia Phillips, Joshua Poteat, Dale Smith, Patty Smith, and others. SARAH BLAKE: I am shocked I wrote a whole book about Kanye for a few reasons. I’m surprised I went from liking his music to being a superfan that knows way more about his life and his work than is normal. I’m surprised I’ve positioned myself as an expert of sorts and now in interviews I’m asked not just about my book but for opinions on Kanye. I’m also surprised I’ve positioned myself as a pop culture writer. And really this is just general surprise at the success of the book—I wrote it, I found a press for it, it exists now as an object and also as my first book, my debut, the start of my career, officially, which means it is doing the entirety of the work to define who I am as a writer right now. I’m surprised that the little girl that was near silent in school for a good ten years is now an outspoken pop culture writer. The book is so much about the public vs. the private, but I’m feeling that divide in my life for the first time. My identity as author of Mr. West doesn’t totally align with my identity at home. I think that’s where most of the shock is coming from. July 2015—The speakers for the 2015 JRW Conference in Richmond, Virginia have been announced. As one of the featured speakers, I will participate in panels, the topics and times of which will be available in the near feature. Register and find out more information about this year’s conference on the JRW website. July 2015—Congrats to editors Peter LaBerge and Talin Tahajian on their fine anthology Poets On Growth: An Anthology of Poetry of Craft just released from Math Paper Press, and many thanks to them for including a few of my poems and an essay. The anthology features original essays and poetry by Richard Siken, Caroline Crew, Timothy Liu, Sandy Longhorn, Joseph Chapman, Rachel Mennies, D. Gilson, Wendy Barker, Phillip B. Williams, Angela Voras-Hills, Sean Patrick Hill, Ruth Awad, Wesley Rothman, Laura Eve Engel, Tasha Cotter, Jing-Jing Lee, Lisa Hiton, Bruce Bond, Claudia Cortese, Emilia Phillips, Matthew Nienow, and Ocean Vuong. Explore and buy the anthology online. July 2015—An information page for Groundspeed is now available under “Books.” This page features the book’s cover, jacket copy, and links to excerpts online. July 2015—The University of Akron Press approved the cover design of my second poetry collection, Groundspeed. Many thanks to designer Amy Freels and collage artist Hollie Chastain for the original design and artwork! 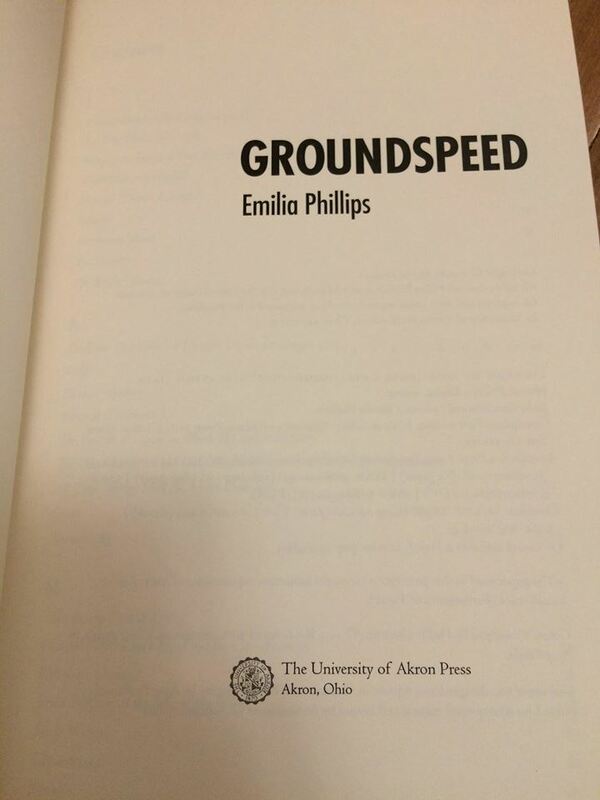 Groundspeed by Emilia Phillips (University of Akron Press, March 2016). Cover design: Amy Freels. Cover art: Hollie Chastain. My mother carries me in body-warm blankets to Vivian Volvo to doze in the backseat, blood hourglassing to my skull as the car careens in the ridgecut’s curve illuminated in the streetlights’ arched, interval orange as the unbalanced tires warp out the black sea on which my breathing rowboats. Burning, burning yearning… Whatever voice from the waking world penetrates a dream is a kind of a god. I have learned to pray, Deus ex cassette tape. Sugar’s Ribs neons on the dark ridge like the expectation of tomorrow’s heat as the brakes scuff and ache time to a slower pace. At the exit ramp’s red light, no traffic passes and yet we wait. He has called her, his wants stamped by Percocet, and asked her to come, and so she goes. Middle of the night, middle of the summer, I always wait in the car, asleep, not asleep, on these errands, something easy, Motown, in the deck, the whir of the tape as it spools and unspools, not unlike memory, and not like it. A-side. B-side. A dark figure approached the car. I tensed. June 2015—I’m reading among the other Peter Taylor Fellows at this year’s Kenyon Review Writers’ Workshop. For more information, visit the conference website. June 2015—This afternoon I’m heading down to the Tinker Mountain Writers’ Workshop at Hollins University in Roanoke, Virginia to teach a five-day, poetry workshop! I’ve got four students this year, and we’re going to do a lot of writing together. For more information about the TMWW, please visit their website. May 2015—Many thanks to the editors of Ninth Letter for publishing my lyric essay “Remains” in their 12.1 issue! To order the issue, please go to their Current Issue page. Thanks also to editor Sara Fan for providing the second photo below. 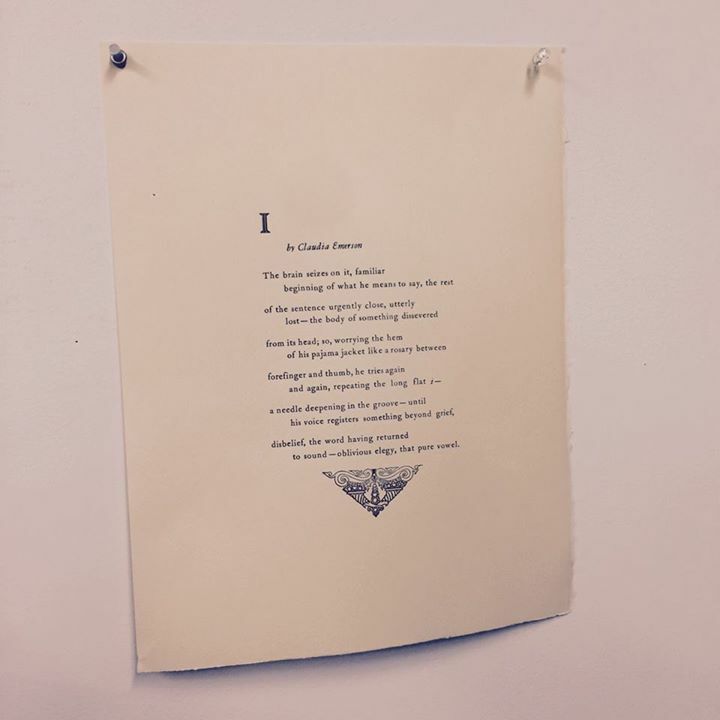 May 2015—On Tuesday May 5, I completed a second run of the broadside featuring Claudia Emerson’s poem “I.” This run was completed on a 1907 Chandler & Price platen price with Pantone 433-colored, oil-based ink at the Visual Arts Center of Richmond. I’m selling these broadsides for $10 (+$3 shipping), and I will donate the sales proceeds to VCU College of Humanities & Social Science’s Claudia Emerson Memorial Scholarship Fund. As on Saturday, May 9th, I’ve started shipping orders. 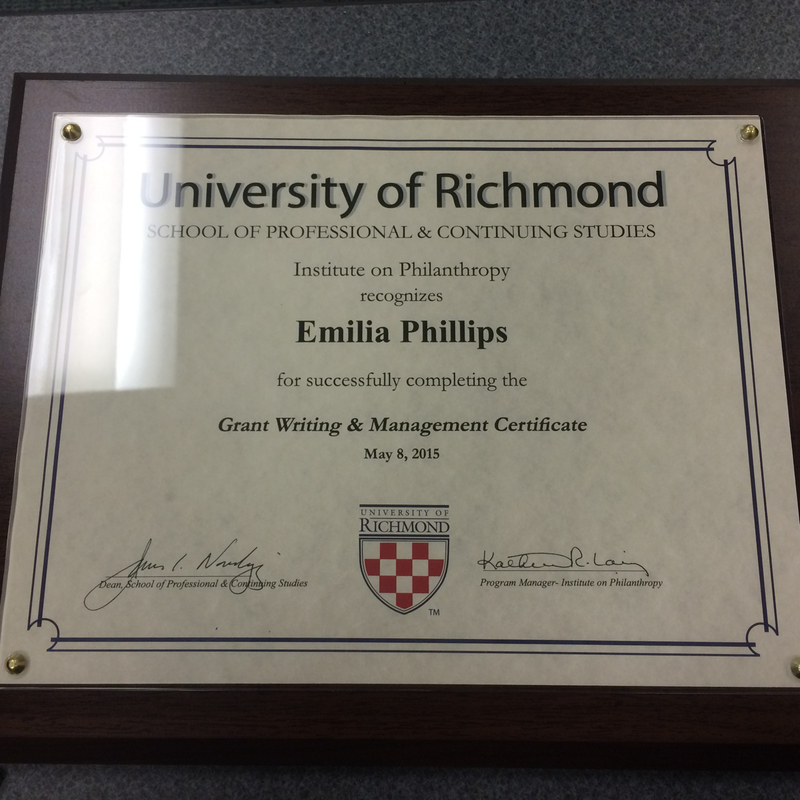 May 2015—After a week-long intensive, I earned a certificate in grant writing & management from The University of Richmond’s School of Professional & Continuing Studies! Phillips’s poems often explore trackless, murky spaces that any reader has at one time or another crawled through on their own. Her poetry, evoking a kind of emotional synesthesia, remains crisply defined and illuminated by tremendous clarity of voice and image. . . . Phillips has a remarkable capacity for edging us closer to the utter distance between ourselves and others, even those we love, without anxiety and with a sense of warmth and, at least, the possibility of presence. This year’s finalists in poetry were Neil Aitkin, Julia Bouwsma, Michael Dauro, Meg Day, Dante Di Stefano, Miranda Field, Brandi George, Patrick Johnson, Sara Eliza Johnson, Victoria Kornick, Nate Marshall, Matt Morton, Emilia Phillips, Jordan Rice, Brandon Som, Corey Van Landingham, Laura Wetherington, Javier Zamora, and Nikki Zielinski. 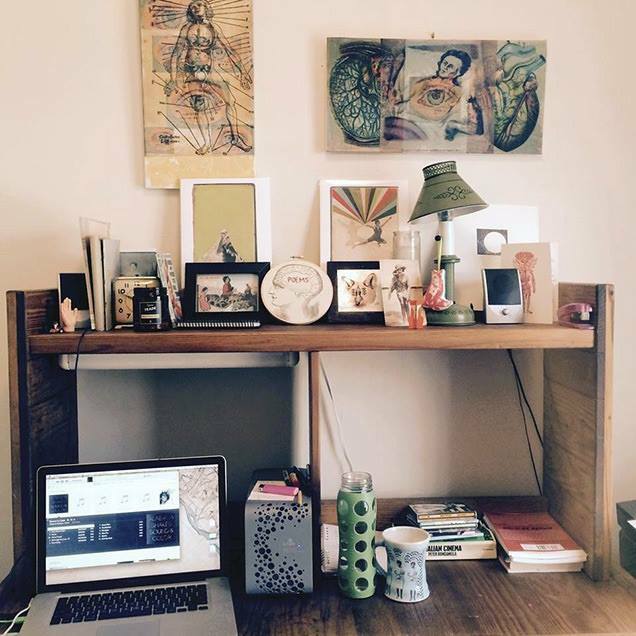 May 2015—Erin Dorney kindly asked me to contribute a photo of my desk and a 100-word description of one item on that desk; I chose my lamp. To see the feature, go to Real Pants. In the mean time, here’s the photo of my desk. May 2015—To order AGNI 81, in which “Stopping at Texaco a Year After My Brother’s Death” and “The Wind Lends a Voice to the Mountain Laurel Above Pretty Polly’s Grave,” please visit AGNI‘s website. May 2015—Thank you to the Blackbird editors for their generous and ongoing support. In their v14n1 issue, they’ve published three poems from Groundspeed: “Pastoral (Future Interstate),” “Pastoral (Radio),” and “Pastoral (With One’s Head Out the Car Window)”. Emilia Phillips catalogs and maps, reporting from recent travels how “seagulls land and become a landscape over a landscape, as snow does: a contour line, a living topography.” Suspicious of the flipped script our “similes / of nature” seem to follow now, of how trees get figured as “telephone poles,” and a “wingspan, a hanging up receiver,” Phillips subtly enjoins us to reevaluate the logic of the one-way street. 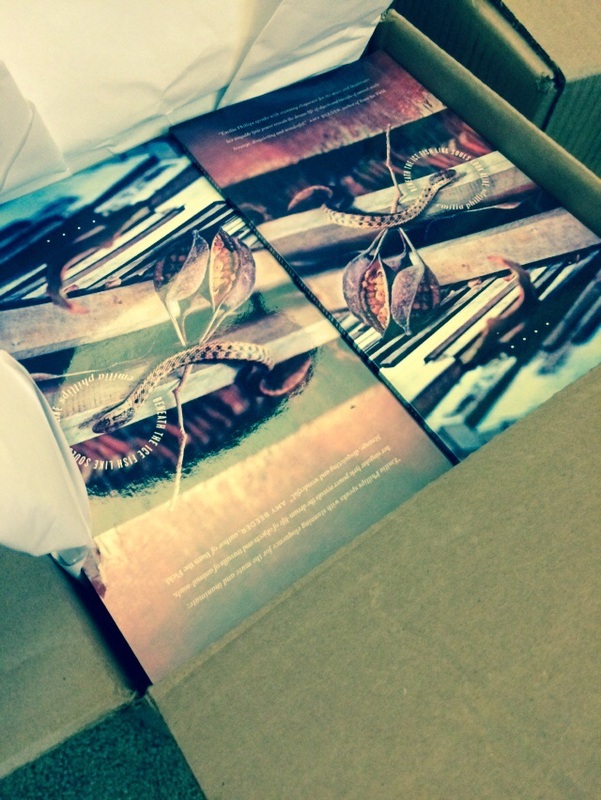 May 2015—My chapbook-length poem Beneath the Ice Fish Like Souls Look Alike is available from Bull City Press! To order, please visit the chapbook’s page on their website. Language that is too conclusive, that does not call anything into question, lacks permanence. Questions that are easily answered don’t stick around. And the same goes for poems. I am uninterested, ultimately, in answering. Complicating something is much more compelling to me, as a reader and a writer. But I’m interested, too, in the action of obscuring . 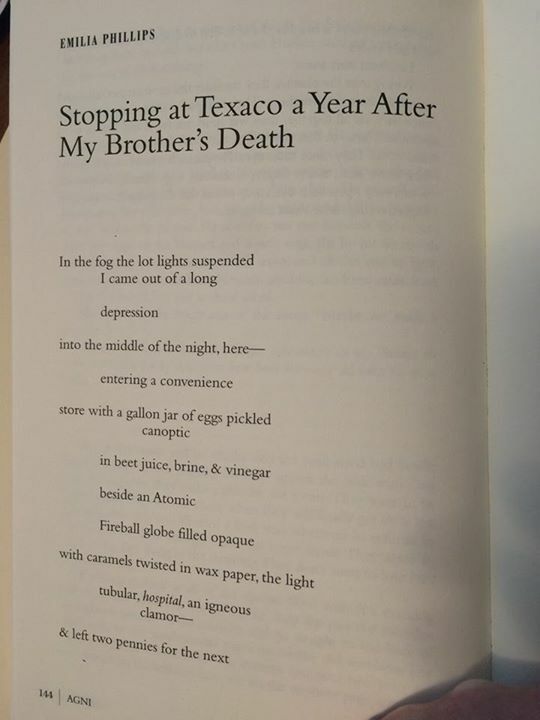 . .
April 2015—”Stopping at Texaco a Year After My Brother’s Death” and “The Wind Lends a Voice To the Mountain Laurel Above Pretty Polly’s Grave” appear in AGNI 81. To order the issue, please go to the issue’s page on their website. April 2015—In Fall 2015, I will join Centenary College’s Department of English & Foreign Languages as the Assistant Professor of Creative Writing! I’m thrilled to work with the students and faculty there. New Jersey, here I come! April 2015—Many thanks to Crazyhorse’s poetry editor Emily Rosko and managing editor Jonathan Heinen for publishing my poems “Apologia of the Shoulder Devil” and “Saudade in the City” in the new issue of Crazyhorse. The issue is shipping starting this week! To order a subscription, please visit their website. Photos by Jonathan Heinen. 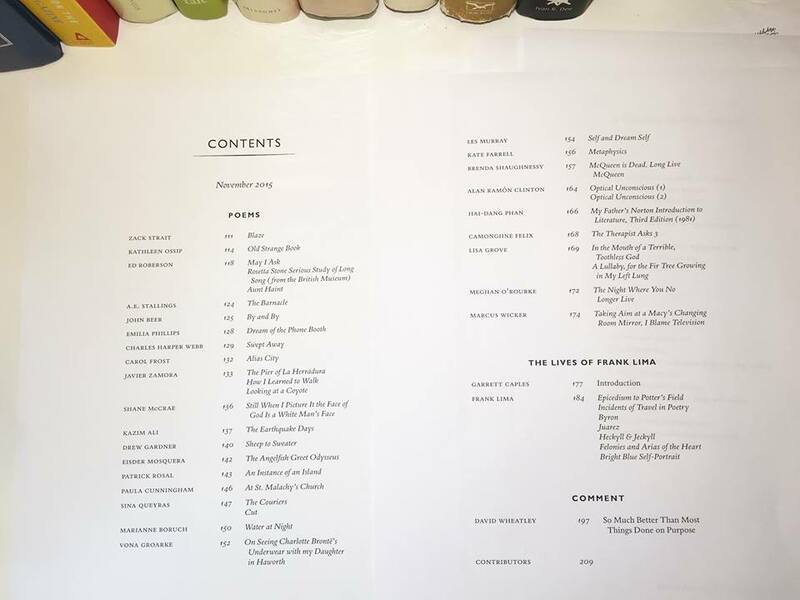 April 2015—So many thanks to New England Review’s poetry editor Rick Barot and their staff for including my poem “Supine Body in Full-Length Mirror, Hotel Room, Upper West Side” in their new issue alongside poetry by Jennifer Chang, Steven Cramer, Kevin Prufer, C.K. Williams, Nick Lantz, Erin Lynch, Cate Marvin, William Logan, Jehanne Dubrow, Ocean Vuong, Daisy Fried, Anders Carlson-Wee, and John Poch. April 2015—Bull City Press editor Ross White sent me these sneak-peek photos of my third chapbook, Beneath the Ice Fish Like Souls Look Alike, due out on May 4th! Advanced copies will be available for purchase at the AWP conference in Minneapolis April 8–11th, table #1832. I will be signing the chapbook at the table on Friday the 10th from 11:00 AM–12:00 PM. You can also preorder the chapbook through Bull City Press’s website. April 2015—My forthcoming chapbook Beneath the Ice Fish Like Souls Look Alike (Bull City Press, 2015) now has a page here. April 2015—So I can share other projects I’ve been working on, including my letterpress class work, an Other Projects page is now available on this site. March 2015—The good people at Bull City Press have released the cover image for my third chapbook, Beneath the Ice Fish Like Souls Look Alike, and have made the chapbook available for preorder for $10 through their website. Although the chapbook won’t be officially released until May, the press will have copies for purchase at their AWP book fair table (#1832) April 9–11 in Minneapolis!
. . . here’s what I like: I like poems that immediately claim my attention, instead of taking my attention for granted. At first read, I want to feel compelled to pick up the poem again; I want to be curious about its byways and secret corners. I like poems that affect me emotionally and also provoke me to further, deeper thought. I enjoy challenge, but not, I think, for its own sake. If a poem is difficult, I want that difficulty to exist because the poet is struggling to communicate what is genuinely mysterious, not because the poet is throwing roadblocks in my way. March 2015—Thank you to the editors of The Pinch for including my poem “A Front Moving In” from my in-progress, third book Bluff in their current issue. To order the issue or a subscription, please visit their website. I see language as a type of energy. Something that can’t be created or destroyed. Something on-going, infinite. Something in the air. Something we take into us—like breath—without even knowing it, and something we give out unconditionally. March 2015—To hear me read these two poems from Groundspeed (forthcoming in March 2016 from the University of Akron Press), please visit the Poetry Foundation’s Audio & Podcasts collection. February 2015—Many thanks to Christopher Buckley for his inclusion of “Life Vest Under Your Seat” in Miramar no. 3. For more information about the journal, visit their website. January 2015—Many thanks to Danielle Susi for interviewing me about my forthcoming collection Groundspeed, pedagogy, and failed poems for The Angle. January 2015—Many thanks to poetry editor Elizabeth Powell, online editor Jensen Beach, and the rest of the staff of Green Mountains Review for featuring “Groundspeed” online! Groundspeed, my second collection of poems, is due out from the University of Akron Press Akron Poetry Series in March early 2016. January 2015—I wrote an essay in response to Bruce Springsteen’s Tunnel of Love for The RS 500. Read it online. Many of us here at The RS are still reeling today from the very recent death of Claudia Emerson, a poet, teacher, and musician whose place in our lives will be impossible to ever adequately re-fill. Claudia named her cats after country singers, memorialized musicians who had recently passed every year on her Christmas tree, and meant a hell of a lot to just about everyone she even briefly knew. Today’s entry on Merle Haggard’s Down Every Road she especially would have liked, I think, and it’s only fitting to see Emilia Phillips’s name, a friend and student of Claudia’s, at the signature line. “Down every road, there’s always one more city.” Indeed. Enjoy. November 2014—I found out that I received a Peter Taylor Fellowship to the Kenyon Review Writers Workshop where I will assist Mary Szybist in her poetry workshop June 13–20, 2015. Thank you to The Kenyon Review! I can’t wait to see you in Gambier! November 2014—On Saturday, November 15th at 7 PM, Berl’s Poetry Shop hosts “An All Emilys Reading” featuring Emily Brandt, Emily Hockaday, Emily Hyland, Emily Moore, Emilia Phillips, Emily Skillings, and Emily Yoon, Berl’s Poetry Shop, 126A Front Street, D.U.M.B.O., Brooklyn, NY. For more information, visit the Berl’s events calendar. Chaos—confusion, bewilderment—these are things I’m always working against and within as a writer. Frost famously argued that a poem is a ‘temporary stay against confusion’—and by ‘stay,’ within the context of ‘The Figure a Poem Makes,’ he means clarification—a temporary clarification of life. This resonates with me, although I don’t know if I agree with the certainty of his claim—I think poems are definitely an attempt at a stay, a reach toward clarity or revelation. My experience is that these brief moments of (almost) order and light on the page dissolve fairly quickly into bewilderment again, which brings me back to the page to try (and fail) again. I like the idea, as you put it, of ‘poets of chaos’—I’m certainly a child of chaos, since my mother disappeared when I was so young, so I can’t imagine being any other kind of poet. There is a line in Small Porcelain Head that reads ‘…until the opposite is the same—she is empty enough.’ This line is referring to death, but for me it also suggests the need for order is an act of emptying that is very satisfying—but human bewilderment naturally rushes in to fill its absence again. POEMS FORTHCOMING IN . . .
November 2014—Agni, Blackbird, Crazyhorse, Green Mountains Review, Green Mountains Review Online, New England Review, The Pinch, and Ploughshares. November 2014—Blackbird v13n2 features audio of a reading I did with Paula Champa and Joshua Poteat for Poetic Principles at the Library of Virginia on May 27, 2014. My part starts around the 22:40 mark. November 2014—Many thanks to Keith Montesano, editor of First Book Interviews, for interviewing me about Signaletics, the contest circuit, and the process of editing my first book with Mary Biddinger. EP: . . . A fun question: If we were to literally evolve through poetry, how would our bodies change? Would we have larger lungs for all that breath? Will we be able to use our feet to type? RE: We’d all have skylights in our brains! And extra sets of eyes so we could see more of the world around us. And maybe bookshelves built into our backs, so we could carry a few slim volumes around for reference (although I guess that’s what smartphones and tablets and e-readers are for). More than a physical transformation of writers, I’d like to see a broad-spectrum evolution of readers: more people receptive to the ambiguity of language, more critical thinkers who engage with art and understand why it’s important, not just as entertainment but in creating empathetic, sentient beings. Poetry helps us walk upright: be more man, less ape, so to speak. October 2014—The Book of Scented Things received a great review in The Chicago Tribune. Among other contributions to the anthology, “Midnight Noir” by Emilia Phillips was mentioned in the review. October 2014—Many thanks to the Akron Poetry Series and editor Mary Biddinger for accepting my second poetry collection Groundspeed for publication! The publication date is to be determined. Akron’s press release follows. October 2014—Thank you to Don Share, editor of Poetry magazine and author of several poetry collections, for allowing me to interview him for the 32 Poems Prose Feature. “Poems are more than disembodied abstract entities hovering in and before the mind like ghosts,” he says. October 2014—Thank you to editor Brian Brodeur for inviting me to talk about the making of my poem “Reading Ovid at the Plastic Surgeon’s” over at How a Poem Happens. September 2014—Thank you to the editors of West Branch for including my poems “Capriccio” and “Ekdekhesthai” from my second manuscript Groundspeed in their new issue of West Branch Wired. The issue also features poems by J.P. Grasser, Michael Loughran, and Shane McRae. August 2014—Thank you, Melissa Crowe, for your x-ray vision into Signaletics in a double review of my book and Jamaal May’s Hum in the new Beloit Poetry Journal. “A poet of the post-confessional lyric, Phillips also expresses ambivalence about what she’ll reveal, in writing, of herself. Raised to understand that we have the right to remain silent, she chooses sometimes to remain absent ‘from the knowledge // of others’ (‘Ars Poetica [Latent Print]’). In the end, though, she seems to recommend we “break cover,” ending the poem ‘Latent Print: Pale Suits’ with what seems a straightforward call to arms but which I can’t help reading as a call to write: ‘Bow & pick up // your weapon. Now anything blunt will do. '” Read the review “Things To Keep” online or order a subscription of Beloit Poetry Journal. August 2014—Chad Davidson talks with me about relatability, perfect readers, using poetry as a metaphor to describe the world, and more for the 32 Poems Prose Feature: “If more people read poetry and were used to the kinds of language and devices deployed there, then using those devices in turn as metaphors for other things (houses, cars, domestic appliances, yogurt) might make some sense. As it stands, poetry is usually the unfamiliar.” To read the interview, please go to the 32 Poems blog. August 2014—To listen to my interview with Christopher J. Johnson, go to the Collected Words archive for August 13, 2014. July 2014—The Poetry Foundation announced the thirty-one finalists, including Emilia Phillips, for the 2014 Ruth Lilly and Dorothy Sargent Rosenberg Poetry Fellowships. The recipients of the five fellowships will be announced by September 1. For more information about the finalists and the fellowship, visit the Ruth Lilly and Dorothy Sargent Rosenberg Poetry Fellowships page on the Poetry Foundation’s website. June 2014—”The Rising Cost of Dying” appears in the Spring 2014 issue of Southern Indiana Review. For more information about the issue or to subscribe, please visit their website. June 2014—Many thanks to the editors of Waxwing for their inclusion of “All These Things Shall Be Added Unto You” and “Phaeacia’s Orchard” in their Summer 2014 issue. June 2014—”Perhaps most importantly is the life you lead between poems,” Sleigh says in my interview with him for the 32 Poems Prose Feature. May 2014—My reviews of Steve Scafidi’s Songs for the Carry-On (Q Ave Press, 2013), Aubrey Lenahan’s Note Pinned to the Back of a Dress (H_NGM_N, 2013), Matthew Minicucci’s Reliquary (Accents Publishing, 2013), Michele Poulos’s A Disturbance in the Air (Slapering Hol, 2012), and Philip Metres’s A Concordance of Leaves (Diode Editions, 2013). Read the review on Blackbird. May 2014—Many thanks to Craig Beaven for his incredible review of Signaletics! Here’s a glimpse at what he has to say: “Phillips must have a restless curiosity and a fierce intellect to have cast her poetic gaze so widely, and to have made lyric use out of such disparate materials. As with any excellent poetry, these adventures, characters, stories, and songs all become a part of the self, become amalgamated into the author’s own persona.” Read the rest of the review on Blackbird. “THE SHOWERS” APPEARS IN THE NEW ISSUE OF HARVARD REVIEW April 2014—Many thanks to the editors for the inclusion of the poem! To order a copy of the issue or a subscription to the journal, go to Harvard Review‘s website. March 2014—To read the review, visit Poetry‘s April 2014 issue. March 2014—Poetry Daily selected Hazelton’s “Three Reviews” of Women’s Poetry: Poems and Advice edited by Daisy Fried, Milk and Filth by Carmen Gimenez Smith, and Signaletics by Emilia Phillips as their Prose Feature. Check out the three reviews on Poetry Daily‘s website. March 2014—Hilger opens her review by saying: “Emilia Phillips’s first collection of poems, Signaletics, masterfully builds an atmosphere like that of an ancient laboratory where the tools are out and books still open.” Thanks to Lauren Hilger for deft examination of the collection. To read the rest of the review, go to GMR‘s website. 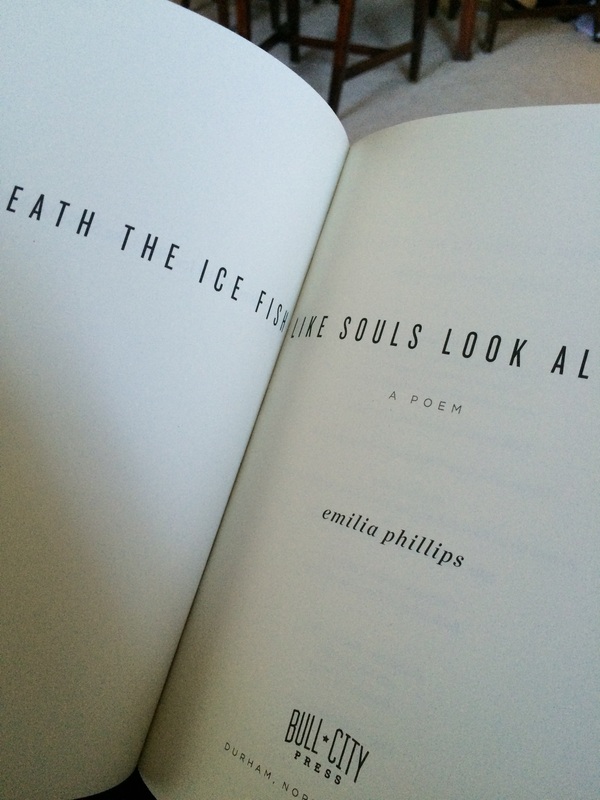 March 2014—Bull City Press announced that it will publish the chapbook Beneath the Ice Fish Like Souls Look Alike by Emilia Phillips. It will be available in late 2014. To view the announcement of the chapbook in addition to the winners and finalists of the Frost Place Chapbook Compeition, visit Bull City’s blog. March 2014—It’s an honor to be in this conversation, to have an open and honest evaluation, and to have the review land on lines like these: “when Signaletics is firing on all cylinders Phillips marries esoteric knowledge, personal narrative, and language to create an illuminating whole…When Phillips writes like this her erudition and—should I say—heart are a knockout combo.” To read the review, subscribe to Poetry. Additionally, the review should appear online soon. March 2014—My interview with Rebecca Hazelton is the 32 Poems Prose Feature. March 2014—The video and transcript of Jackson’s fall 2013 interview with me at the Meacham Writers’ Workshop can be found on the conference’s website. March 2014—Lisa Wells asks about Signaletics, form, research, ironic verse, and more. Check out the full interview on Omniverse. February 2014—”We discuss writing away from the self, the art of pinball, the ins & outs of using tilt in competitive pinball, knowing how to accept the poem, experiencing the process of writing both from pen to page to the key beneath the finger, as well as discussing the finer points of conceiving the poem on the page.” Visit Written in Small Spaces to listen to the interview. February 2014—A reading of “Teratoma” and “Latent Print” now appear on New England Review‘s website. Many thanks to Devin MacDonald and the other editors of NER for their support. January 2014–The Fall & Winter 2013–2014 issue of Poetry Northwest contains “Wheelchair in Hayloft” and “The Southern Baptist Preacher Asks Me, Age Four, If I Died Today Where Would I Go?” from the second manuscript, Heaven and Men and Devils. Thumb’s up and a big thanks to editor Kevin Craft for including the poems. For more information and to subscribe, go to the journal’s website. January 2014—On Saturday the 18th, Emilia Phillips and Roger Reeves read for the Poets in Print reading series. Hannah Ball at the Western Herald provides more details. Many thanks to reading series coordinator Traci Brimhall for inviting us up and hosting us! January 2014—Many thanks to Maggie Millner for “The Remnants of the Dead Stir Minor Resurrections: Emilia Philips’ ‘Signaletics'”—an honor indeed! January 2014—Many thanks to Dillon J. Welch for his review of Signaletics! December 2013—My interview with Gary Jackson is the 32 Poems Prose Feature. December 2013—”Breaking Through the Noise: Our Ninth Annual Look at Debut Poets,” features Emilia Phillips, Dan Chelotti, Matt Rasmussen, Jeffrey Pethybridge, Hailey Leithauser, Roger Reeves, Sasha West, Greg Wrenn, Wendy Xu, and Laurie Ann Guerrero. Many thanks to article author Victoria Chang for the inclusion in this feature. December 2013—My interview with Keith Ekiss is the 32 Poems Prose Feature. December 2013—On Harriet, contributors from December 2013 issue of Poetry share their reading lists. December 2013—“Saul Bass Redesigns the First Man” and “Reading Ovid at the Plastic Surgeon’s” appear in the new issue of Poetry Magazine. December 2013—I’m featured on the December Poetry Magazine Podcast with the two poems that appear in the issue, “Reading Ovid at the Plastic Surgeon’s” and “Saul Bass Redesigns the First Man,” with Tomas Q. Morin, Eileen Myles, and more. November 2013—My interview with Alan Shapiro is the 32 Poems Prose Feature. November 2013—My essay on archaeology, poetry, fragments, and memory appears on Superstition Review‘s blog as the Guest Blog Post. Many thanks to the editors for asking me to participate. November 2013—Thirteen micro-essays, including mine, appear in this feature curated by Saeed Jones on BuzzFeed. November 2013–“Aubade” appears in The Freeman. Many thanks to poetry editor Luke Hankins for giving this scuttling thing a shell to call home! November 2013—“In Praise of Everything: a Review of Marcus Wicker’s Maybe the Saddest Thing“ is the 32 Poems Prose Feature. November 2013—Anna Journey dives into “Latent Print” in an essay about Signaletics and debut collections by Tarfia Faizullah and Dexter L. Booth. Many thanks to Anna and the editors for the inclusion. To view the essay, go to the website. 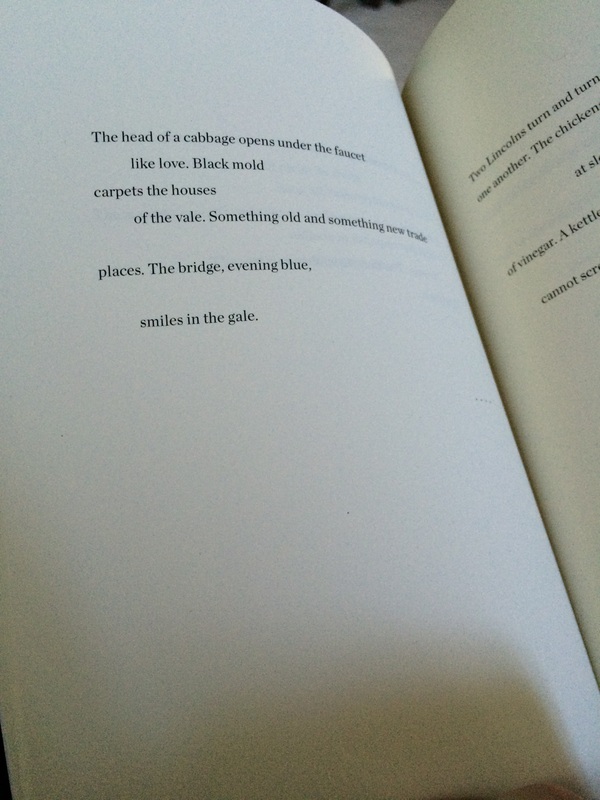 November 2013—“The Surface Is Really the Sky: a Review of Matthew Olzmann’s Mezzanines“ is the 32 Poems Prose Feature. October 2013—The Southeast Review has run an interview by Joey Kingsley with me. Thanks to editor John Beardsley for helping make this happen. Check out the interview on their website. October 2013—“Ghost Sonnet” has been reprinted from Signaletics on Verse Daily. Thanks to the editors for featuring it. October 2013—Check out these two poems I wrote in a poem swap with Joshua Gottlieb-Miller. Many thanks to the editors for providing “Terra Nullius” and “Proximity Is the Greatest Motivator of Fear” a home. June 2013—The last two poems remaining from Signaletics have been published in the latest and last issue of Cerise Press. Come celebrate the run of a great journal and the work of the contributors at the Volume 5, Issue 13 page. June 2013—Amy Beeder elegantly answers my questions for the Weekly Prose Feature on 32 Poems. To see the interview, go to “Subject to Distortions: An Interview with Amy Beeder”. May 2013—Matthew Olzmann kindly answered my questions for the Weekly Prose Feature on 32 Poems. To see the interview, go to “Usually a Window, But Occasionally a Stage: An Interview with Matthew Olzmann”. May 2013—Dana Levin allowed me to interview her for 32 Poems. To see the interview, please go to “Invention Aids Understanding: An Interview with Dana Levin”. May 2013—My contribution to Green Mountain Review‘s ongoing “Why Write?” series appears under Essays on their website. May 2013—David Wojahn, my former professor, allowed me to interview him for 32 Poems; check out the audio and transcript of “‘No Subject Should Be Taboo’: An Audio Interview with David Wojahn by Emilia Phillips, with Transcript”. May 2013—Ron Slate kindly asked me to add a few of my summer reading titles for his “What Will You Read This Summer?” feature on On the Seawall. May 2013—Please visit Sundress’s e-chapbooks page and click on the cover image of the fox to download the chapbook. Many thanks to Erin Elizabeth Smith, the other editors, and designer Greg Frank for their fantastic work. May 2013—My tiny poem “Drill” appears in Cellpoems. May 2013—To read my review of Lucia Perillo’s latest collection, please go to http://www.blackbird.vcu.edu/v12n1/nonfiction/phillips_e/spectrum_page.shtml. May 2013—Check out this interview with Curtis Bauer on the 32 Poems blog. April 2013—Check out “A Collaborative Interview on Collaborations, Part 1” on the 32 Poems blog. April 2013—Check out the page for Signaletics in the University of Akron Press’s online catalog at http://www.uakron.edu/uapress/browse-books/book-details/index.dot?id=46682afa-b3b8-4a70-aa9b-368babc77dc4 and pre-order your copy on Amazon at http://www.amazon.com/Signaletics-Series-Poetry-Emilia-Phillips/dp/1937378551/ref=sr_1_1?ie=UTF8&qid=1365621227&sr=8-1&keywords=emilia+phillips. April 2013—As prose editor of 32 Poems, I’ve reviewed three of my favorite new collections: A Larger Country by Tomás Q. Morín; Vanitas, Rough by Lisa Russ Spaar; and Small Porcelain Head by Allison Benis White. Check it out at http://www.32poems.com/blog/5550/weekly-prose-feature-an-omnibus-review-of-tomas-q-morin-lisa-russ-spaar-and-allison-benis-white-by-emilia-phillips. April 2013—For National Poetry Month, Sarah Blake asked thirty contributors to participate in NPM Daily. My flash essay, “An Aerial View,” discusses the feminine and emotion in poems, how the name and identity of a poet may affect a poem, and more. Please visit http://npmdaily.tumblr.com/post/46997750344/emilia-phillips. March 2013—Many thanks to C.L. O’Dell and Nathan Hicks for having me back on The Paris-American with my poem “Stratum (Method).” Check it out at http://www.theparisamerican.com/poetry80.html. March 2013—Adam Vines, editor of Birmingham Poetry Review, deserves major kudos for such an expansive issue! I feel honored to have my poem “In Praise of Aurochs” among such illustrious company. Order the new issue or subscribe at http://birminghampoetryreview.org/. March 2013—The editors at storySouth published my poem “Stratum (Logic)” from the second manuscript. There’s plenty of great reading here—fiction, nonfiction, poetry, and reviews. Check out my poem at http://www.storysouth.com/2013/03/stratum-logic.html and venture in! March 2013—Cerise Press has published my review of Amy Beeder’s Now Make an Altar at http://www.cerisepress.com/04/12/now-make-an-altar-by-amy-beeder/3. February 2013—Thanks to the editors of Diagram for including my poem “Sus Scrofa Dictum” in their latest issue; check it out and the other fine work at http://thediagram.com/13_1/phillips.html. February 2013—If you’re a Narrative subscriber, check out my poem “Snake Woman” at http://www.narrativemagazine.com/issues/winter-2013/snake-woman. Also, check out the winner of the contest, George David Clark’s “Python in the Grand Piano”! February 2013—I had great fun reviewing the fine collections Town for the Trees by Justin Evans, What have they done to our ears to make us hear echoes? by Arlene Kim, Thunderbird by Dorothea Lasky, and Panic Attack, U.S.A. by Nate Slawson for diode. Check it out and the fabulous poetry in the issue at http://diodepoetry.com/v6n1/content/phillips_e.html. February 2013—iO published two poems from the new manuscript, Heaven and Men and Devils, alongside a stunning lineup in their issue 8. Check out the poems at http://iopoetry.org/archives/1680. February 2013—Check out my interview with the amazing Traci Brimhall for 32 Poems‘s Weekly Prose Feature at http://www.32poems.com/blog/5080/weekly-prose-feature-biomythography-an-interview-with-traci-brimhall-by-emilia-phillips! February 2013—The last poem written for Signaletics, “Vanitas (Latent Print),” appears in the new issue of Asheville Poetry Review! Thanks to Keith Flynn for his faith in the poem! December 2012—I’m so very thrilled to say that the editors of Linebreak took one of the sonnets from the new manuscript, “Stratum (Entente),” and had the always amazing Patty Paine read the poem at http://linebreak.org/poems/stratum-entente/! December 2012—The new issues of Hayden’s Ferry Review and The Kenyon Review contain my long poems “The Study Heads” and “Sublimation,” respectively. You can order these issues and subscribe to these journals on their websites. Can’t wait to see them! December 2012—Two new issues out in one day! Check out the new Devil’s Lake to see another one of my fable poems and the new issue of The Collagist for my review of Donald Revell’s Tantivy (Alice James, 2012). Many thanks to the editors for the inclusion! Visit http://english.wisc.edu/devilslake/issues/fall2012/Phillips.html for the poem and http://www.dzancbooks.org/the-collagist/2012/12/10/tantivy-by-donald-revell-alice-james-book.html for the review. December 2012—Thanks to Traci Brimhall for such a gorgeous issue. I’m honored to have “Teratoma” hang with such radiant work! December 2012—The new issue of Jet Fuel Review contains three of my poems: “fable: [ As soon as it sees that their feathers are black, it recognizes them as its own and feeds them more copiously ],” “fable: [ when its belly feels the pangs of birth, its offspring bite through the mother’s body and break out ],” and “Husbandry.” To read these poems please go to http://jetfuelreview.com/?page_id=1919 and be sure to also click into the “Latest Issue” tab to read all the great work featured in the issue! December 2012—Enormous thanks for the editors of The Paris-American for their confidence in my little fable poems. To read the Pushcart-nominated poem with another one in the fable series, please visit http://www.theparisamerican.com/emilia-phillips-poetry.html. November 2012—Check out the new issue of Colorado Review (39.3, Fall/Winter 2012) that features fantastic new work by so many great poets and prose writers. My little poem “YouTube: Dog Eating a Human Leg on the Ganges” that appears in the forthcoming chapbook, Bestiary of Gall, appears on page 155! Many thanks to the editors and staff for the inclusion! For more information about the Colorado Review including information on ordering a subscription, please visit http://coloradoreview.colostate.edu/colorado-review/. November 2012—Many thanks to Narrative for naming my poem “Snake Woman” as second place in the 2012 30 Below Contest. To read more about the winners and finalists, please visit http://narrativemagazine.com/node/197626. November 2012—Many thanks to the editorial staff of Hayden’s Ferry Review for nominating my long poem “The Study Heads” for a Pushcart Prize. The poem will appear in their issue #51, due out before the end of the year. For more information about the rest of their nominations, check out their blog at http://haydensferryreview.blogspot.com/2012/11/pushcart-prize-nominations-2012.html. November 2012—Editor Laura McCullough was so kind to publish my poem “Knowledge of the Terrain” in the latest issue of Mead. Check it out at http://www.meadmagazine.org/Phillips.html. To see the rest of Mead‘s current issue, please visit http://www.meadmagazine.org/Mead.html. November 2012—Check out my review of Katherine Larson’s Radial Symmetry in Blackbird at http://www.blackbird.vcu.edu/v11n2/nonfiction/phillips_e/symmetry_page.shtml. To see the rest of the issue, including this year’s installment of the Levis Remembered Reading Loop; readings by Levin, Larson, and Zapruder; as well as all the poetry, fiction, nonfiction, and gallery pieces you could ask for in an issue, please visit: http://www.blackbird.vcu.edu/v11n2/index.shtml. October 2012—U.S. Poets in Mexico is pleased to announce the recipient of our 2013 Merida Fellowship Award: Judge Kimiko Hahn selected Emilia Phillips from Richmond, Virginia. Kimiko Hahn also chose two Honorable Mentions: for Elizabeth Hoover’s poem “the archive is all in present tense” and Ryan Black’s poem “Motherless Child”. Honorable Mention recipients will receive a $200 discount on tuition should they decide to participate in our Conference week. September 2012–Sundress Publications has chosen to publish Bestiary of Gall as a part of their e-chapbook series. It will be published in Spring 2013. Check out Sundress’s website for more information about their chapbooks and other publications at http://www.sundresspublications.com/. In this blazing, magnificent debut, Emilia Phillips presents her readers with a body of poetry as complex and exquisite as the human body itself. As the first poem in Signaleticsasserts, “Balancing is an act of forgetting,” and this collection’s greatest asset is its measured balance between intimate disclosure and objective discovery. These poems elucidate the power struggles created by language, science, medicine, and the profound longings of the human heart. The collection will be published in fall 2013 by the University of Akron Press. Many thanks to Mary Biddinger and the University of Akron for their confidence in the manuscript. August 2012—I’m pleased to say that my chapbook titled Bestiary of Gall was selected as a finalist in both Black Lawrence Press and The Collagist’s 2012 chapbook competitions! Many thanks to the editors for their nods to Bestiary of Gall! “In vacuo, Universal Studios” makes of the most prosaic experience—standing in line at the eponymous attraction—an ecclesiological event: if not an act of worship outright, then a prelude to worship, to a worship that may in fact never occur (“We begin in line. We end there.”). Breaking gently through the texture of experience is an incipient elegy for the speaker’s father, in whose “temple, / in the heat, a vein is swollen,” a being who “sweats / through his clothes.” Love resides “at terminus,” but in this poem “terminus” is a place the human, shuffling forward along Zeno’s benighted paradox, may never reach. For more information about the contest and the other winners, check out http://thejournalmag.org/archives/2045.